Dinosaur toys are always popular with kids at Christmas, and each year, we usually see some hot new dino toy take off - with an interactive appeal - the bigger, the better! 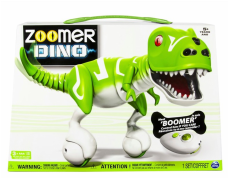 This year, there's a toy that won the Innovative Toy of the Year award for 2014 that's going to be on many kids' Christmas wish list - and it's called Zoomer Dino. Available as the lime green Zoomer Dino Boomer dinosaur or the blue spiked tail Zoomer Dino Snaptail, these dino toys are sleek looking, smart and ferocious! 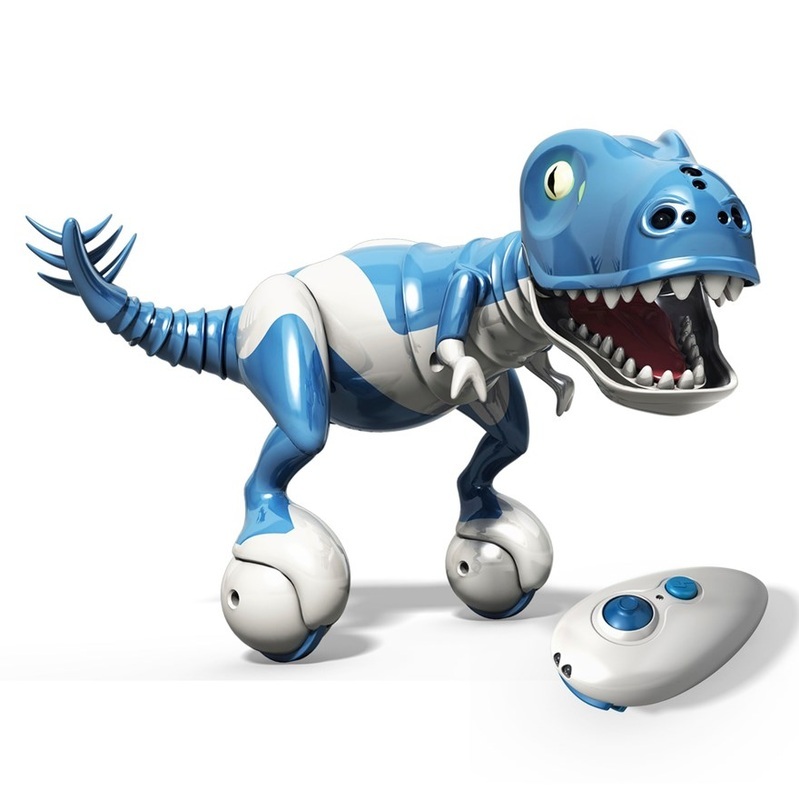 The toy moves just like a dinosaur would, and your child has to learn to control him. Your Zoomer Dino makes dinosaur sounds and has top notch detection abilities. It can sense when you're near, and it will start interacting with you. It's good, scary fun because dinosaurs aren't tame pets - and neither is a Zoomer Dino! He's spin around in a flash and angrily roar at you while he tries to chomp down on you. 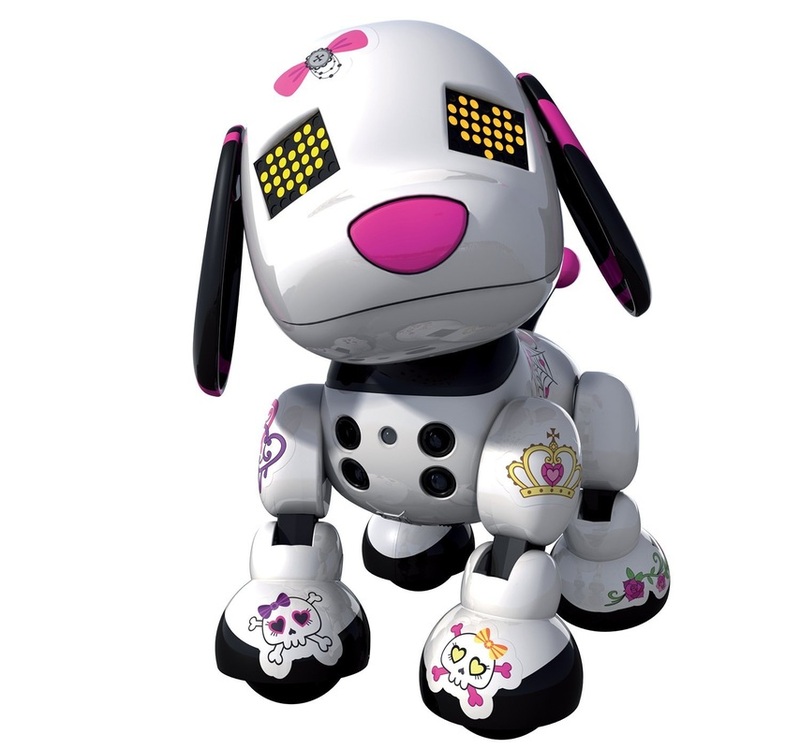 But it's all innocent fun - just meant to make your kids squeal with delight as they play with their new ferocious friend. This dinosaur is conducting a balancing act using True Balance Technology. He is balancing on a couple of wheels while he roams throughout your house, exploring every nook and cranny as a wild animal would. He can be controlled using the controller or your hands, either one. After awhile, you can befriend him and learn how to get along with him - but he still may not like strangers! One thing that really makes this dinosaur lose it is when kids pull on his tail. And just to warn parents, he has some crude noises built in, like fart sounds and burps - stuff kids love and grown ups sigh over! This is a toy that requires three AAA batteries, and they're not included. Since your child will likely want to use his or her own Zoomer for a long time, you might want to invest in the rechargeable batteries and save yourself some money down the road.